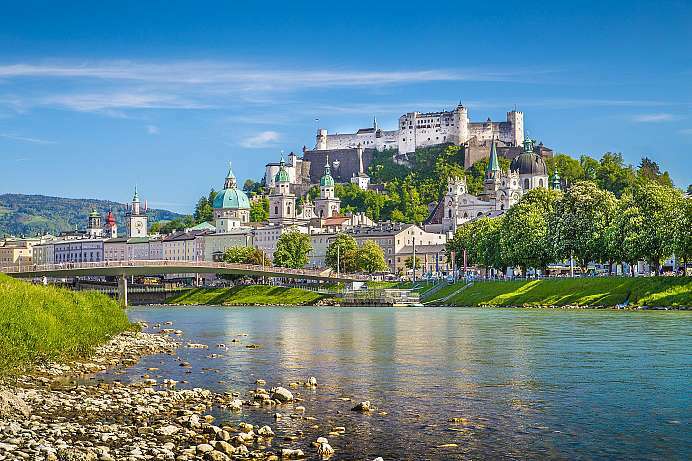 This incredible 19-day tour will take you across the Alps: Before heading into the higher ranges bound for Italy, you travel from Munich to Salzburg via the pre-Alpine hills. 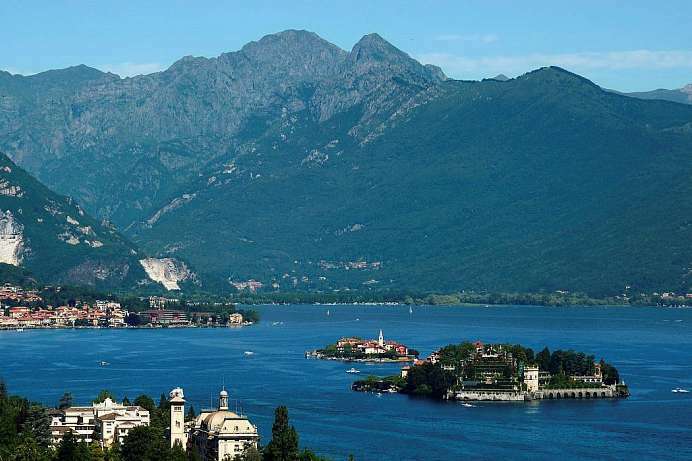 After exploring Bella Italia's premier cities, the tour returns to Germany via Switzerland with a stop at stunning Lake Maggiore. The attractive Neo-Renaissance villa was built in 1886 next to the Nymphenburg Palace and park, one of the most famous sites in Munich. The 17th century palace, now open to the public, has played an important role in numerous historic events. The small, family-run hotel next door prides itself on its 23 individually designed bedrooms and friendly service. Bicycles are loaned for free, for example, and tickets for the local public transportation system for the ride downtown can be purchased at the reception desk. In spite of the quiet location, Germany`s largest beer garden is just minutes away. 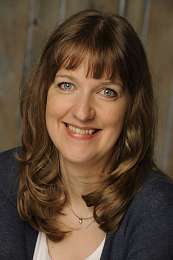 The hotel staff will gladly provide restaurant recommendations and assist with the planning of local activities. Indeed, the little inn was recently named a Service Hotel by the travel website Venere. 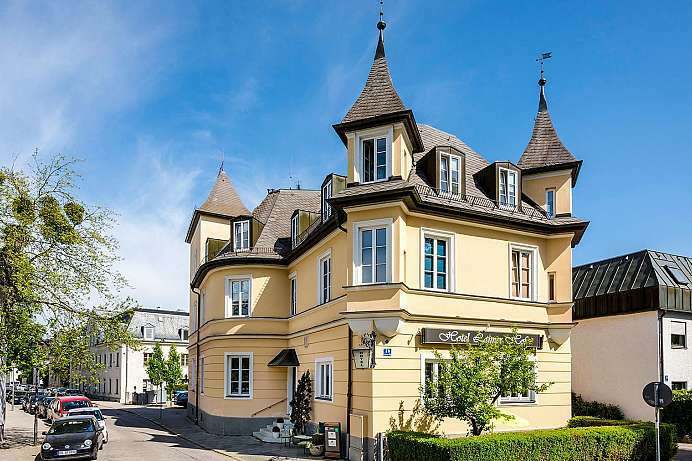 The 19th century villa, converted into a boutique hotel, is located in a residential area south of the Kapuzinerberg. Each of the 14 rooms is individually furnished and offers modern comfort. In the morning a rich breakfast buffet with local and seasonal specialities awaits and in good weather can also be served on a terrace in the garden with a natural pond. 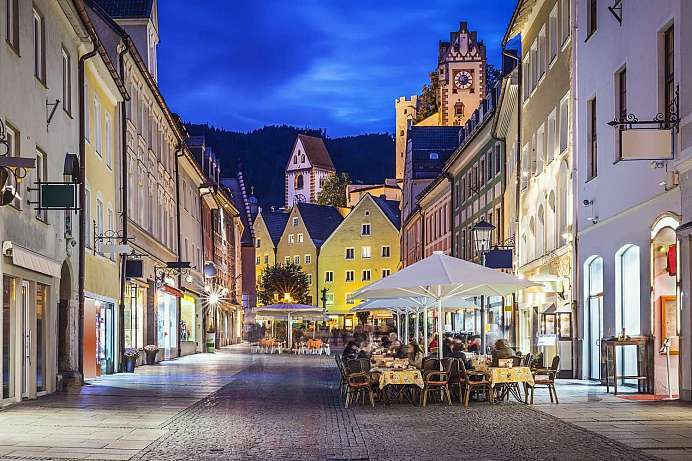 Those who want can take a stroll along the Salzach and reach the oldtown in approximately 15 minutes; with the bus (line 7), it takes about five minutes. Watzman: The mountain is calling! 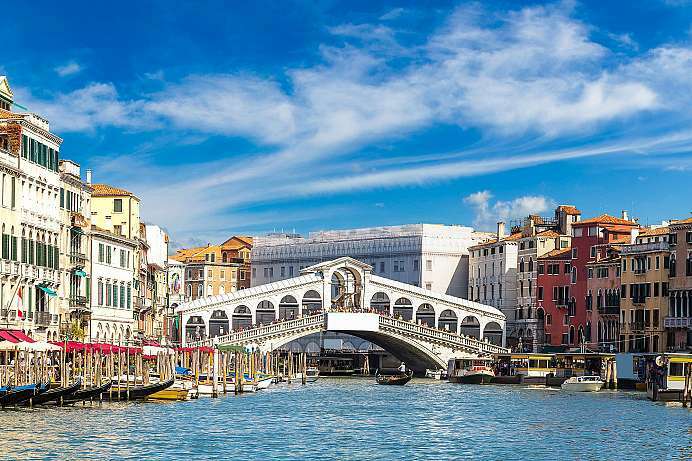 This hotel features a superb location only a stone's throw away from Piazza San Marco. The building's exterior and main entrance may appear mundane, but the interior design is amazing. This is particularly true of the rooms, which Marcella and Giuliano have tastefully furnished in the Venetian style. The ornamental wall fabrics harmonize perfectly with the curtains and the carpets. Everything from the cheerful furniture to the chandeliers is a delight to the eyes. Amenities include air conditioning, soundproof windows, a minibar in every room and modern bathrooms. The breakfast is sweet with croissants and coffee. 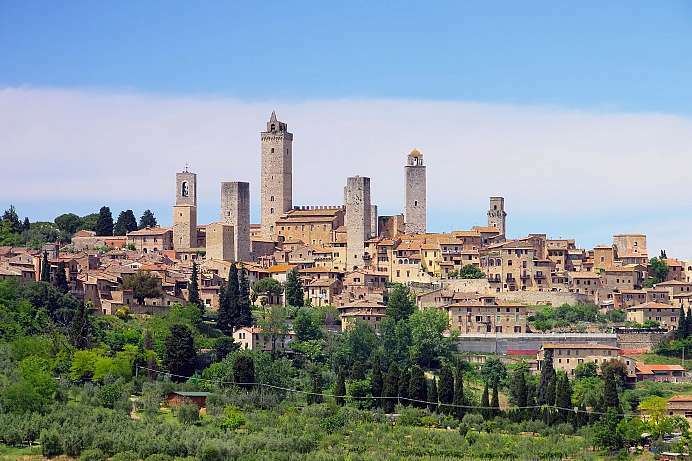 Getting to Florence from the hotel is quite easy: guests can drive into the city and park at the train station, drive to a large park & ride parking lot just outside of Florence and take the tram into town, or take the bus to Florence from a stop two miles from the hotel. 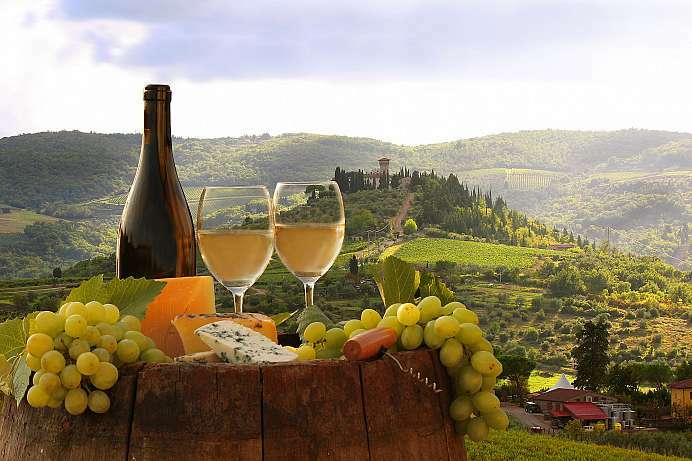 A visit to a working winery, including wine tastings and a light buffet of local products, can be booked upon request. 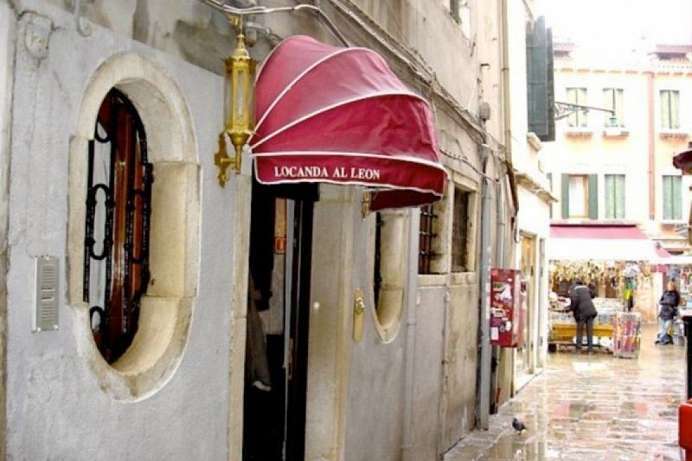 This centuries-old building is located in the city centre, between the Spanish steps and the Via Veneto. Marco and Giulia, the enterprising proprietors who have roots in the hotel business, have completely restored the property and now offer modern, comfortable accommodation in a historical building. 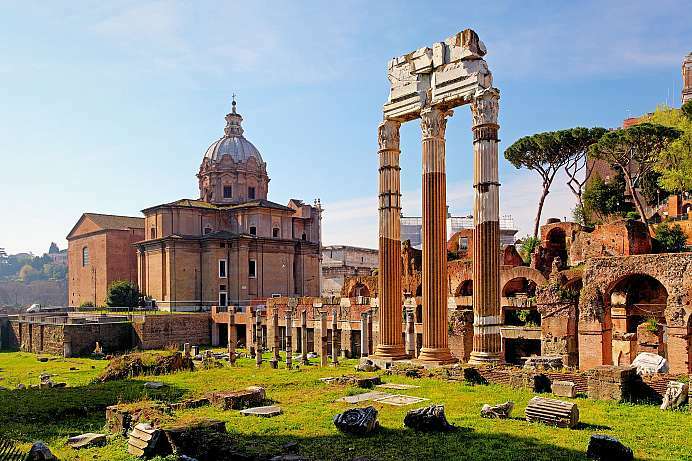 Marco can suggest the best sites to see – he is an accredited Rome tour guide. The building offers many practical conveniences. An elevator takes guests to the air-conditioned rooms on the three upper stories. 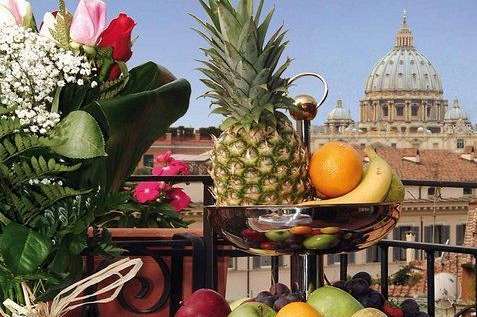 The upstairs suites have a view extending over the roofs of the old city to the dome of St Peters. You're guaranteed a good night's rest here (a valuable commodity in Rome), as the guesthouse is next door to a convent! 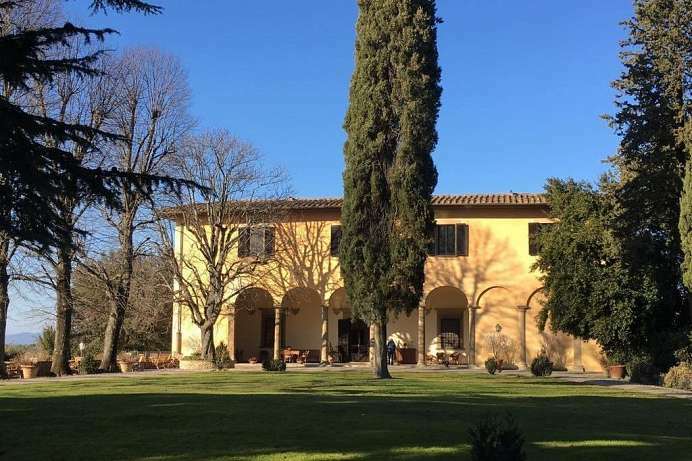 Dievole, once home to Florence nobility, is now one of the most elegant guesthouses on a working wine estate in Tuscany. 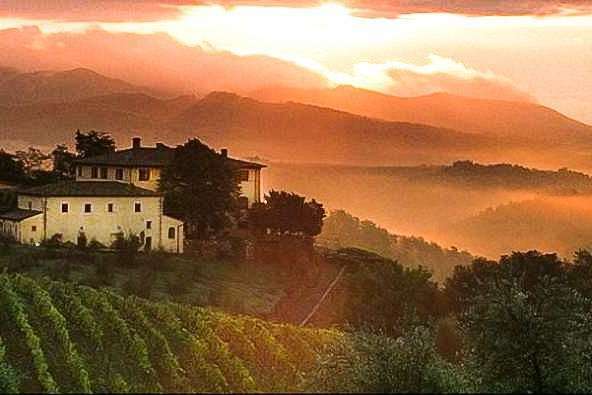 Some of Italy's best and most famous wines are being produced here. Guests are either accommodated in the sixteenth century Villa, the private guesthouse Casa Dievolino or rooms with a kitchenette in Casa Olivo. Picturesque Toscana: A vineyard in Chianti Classico. 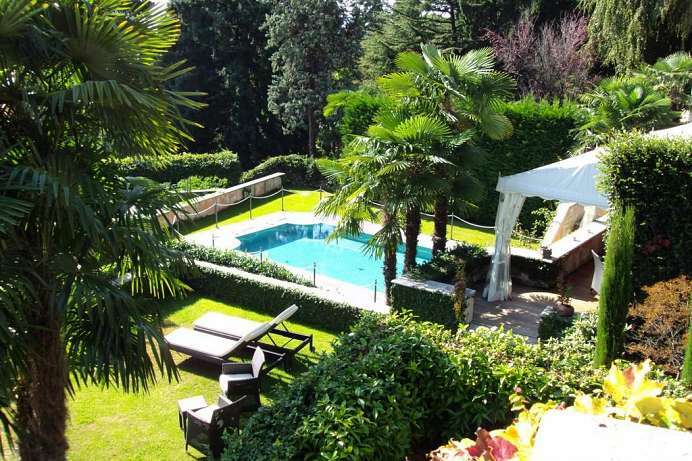 The villa in a large park overlooking Lago Maggiore is an island of tranquility. Situated about 30 minutes from Ascona, the hotel stands on the Italian side of the border, which is less frequented by tourists. Each of the 18 bedrooms is uniquely and individually decorated. The restaurant specializes in dishes made of fresh local products. Weather permitting, meals are served on the seaview terrace. A swimming pool is available during the warmer months. 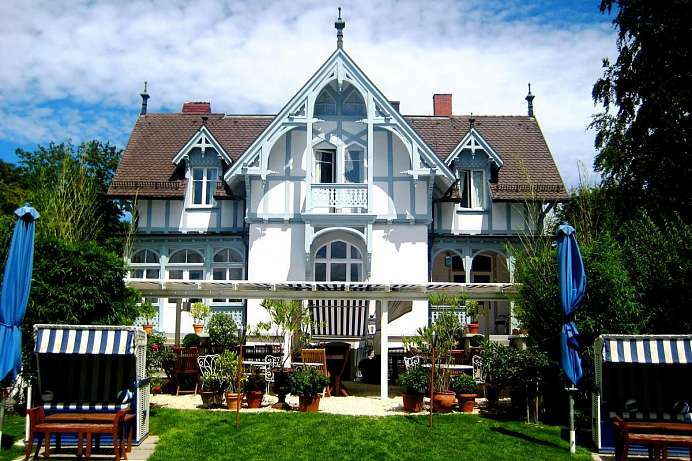 The attractive villa built in 1872 in the late-Empire style is a registered landmark on the shore of Lake Constance. The nine bedrooms featuring lake views have been lovingly decorated and furnished with antiques. Guests can stroll along the shore promenade directly in front of the building, relax in the large garden behind it, or take cruises to various destinations around the lake. 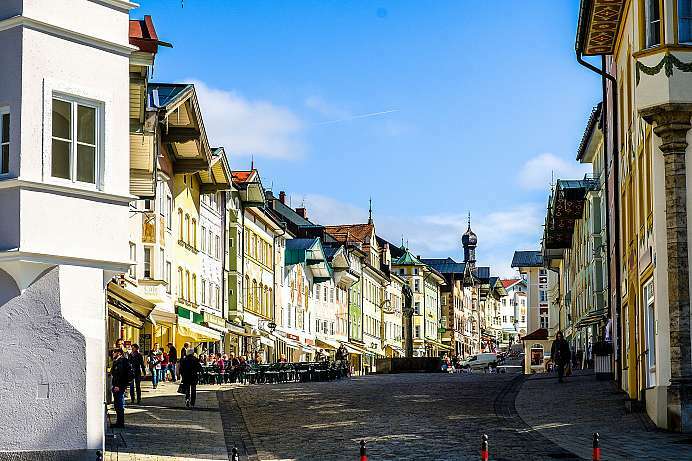 Downtown Constance is just a 15-minute walk across a bridge over the Rhine in one direction, the beautiful island of Mainau a few minutes' drive in the other. 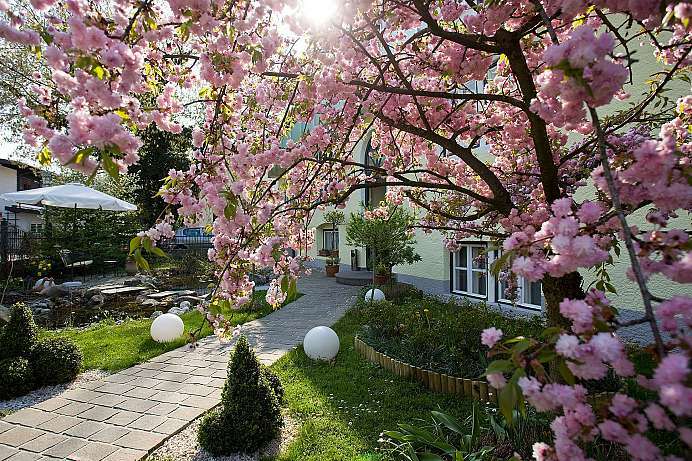 The charming hotel is also perfectly situated for day trips to Switzerland. 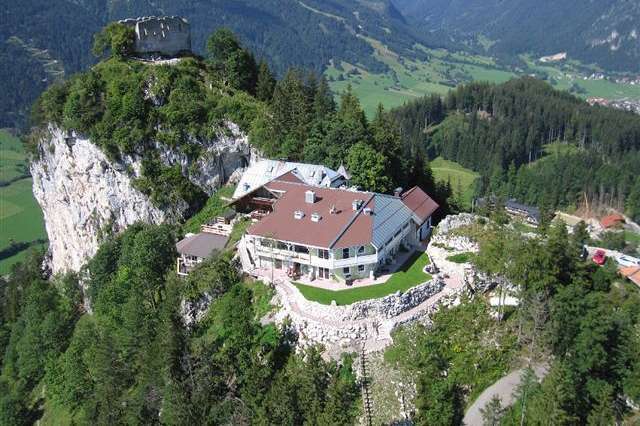 On a lofty summit originally selected by King Ludwig the Mad for the site of another fairy-tale castle after completion of Neuschwanstein sits a hotel which is like no other. Newly arrived guests are first struck by the endless vistas of mountains, green valleys, lakes, and forests at their feet. Then comes the hotel itself, in which every room was individually and imaginatively decorated by the owners themselves, resulting in living quarters that are not mere guest rooms but distinct creations that exude luxury, taste and comfort. Next to the hotel the ruins of Ludwig's final project still stand, within whose tranquil walls the visitor may better sense the lingering spirit of the eccentric ruler than at tourist-plagued Neuschwanstein, clearly visible in the distance. Travellers who brave the narrow road leading up to the castle will be richly rewarded. Neuschwanstein: Fairytale castle of King Ludwig II. We will inform Sunny Cars that your trip goes through Italy. Any fees which might incurre are payable directly at the location when hiring the car. We will inform Sunny Cars that your trip goes through Austria. Any fees which might incurre are payable directly at the location when hiring the car.